This past weekend, in addition to all the other entertaining events going on, I had the pleasure of attending the opening of the exhibit at Dollirium Art Doll Emporium. Dollirium, an art gallery dedicated to art dolls and doll-related art, is owned by tattoo artist and doll maker Jacqui Gallant. 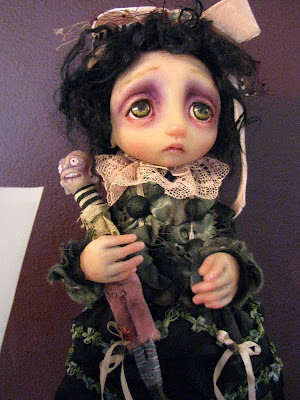 I had seen some of her dolls when she had them on display at Apocalypse last year - click here to see my post. 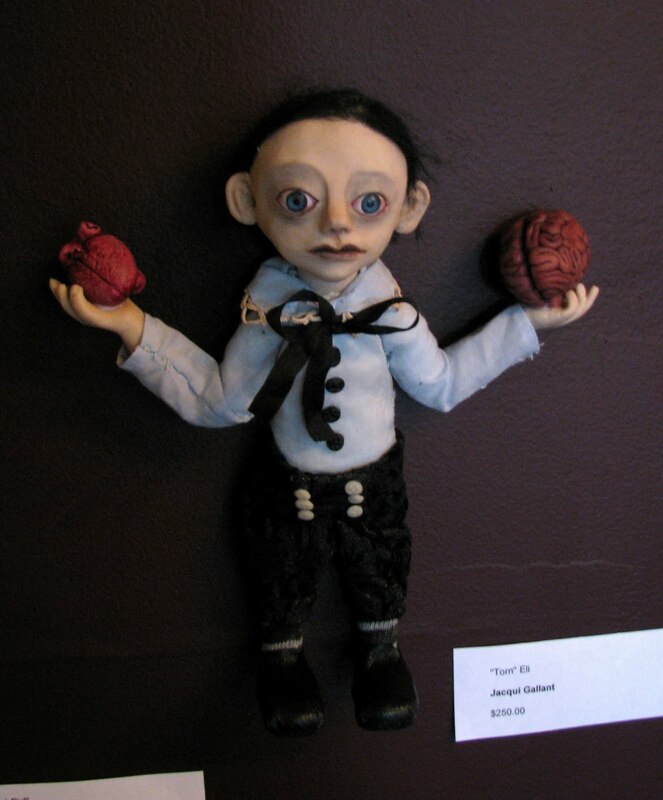 The current exhibit, which runs until September 3rd, and features the work of 8 doll artists, is titled "Dearly Departed", so as you can imagine, death is a running theme. 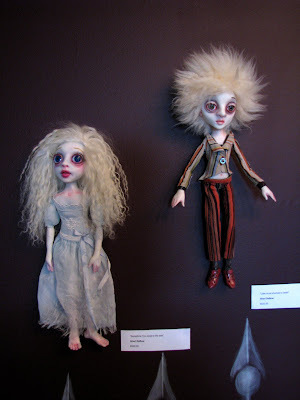 Jacquie put out an open call for other doll artists to submit their work, and the end result is a fascinating, and darkly beautiful show. 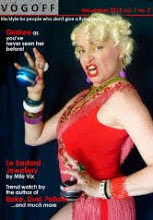 The show is on at her studio, located just off Wharncliffe Rd. 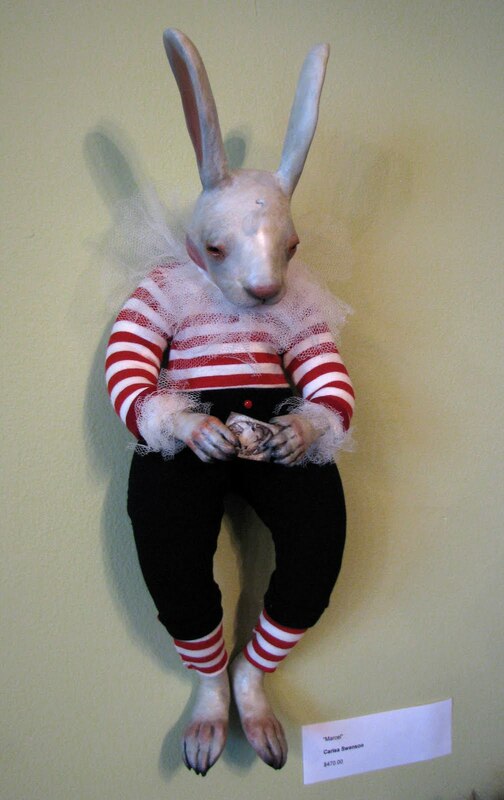 South at 1 Cliftondale Crescent, just behind True Love Tattoo, and many of the dolls are for sale. 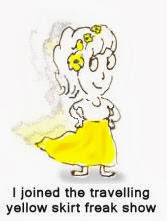 I don't know the hours of the studio, but you could always give her a call at (519 675-0111, or check out her website. Below are some of my favourites in the exhibit. 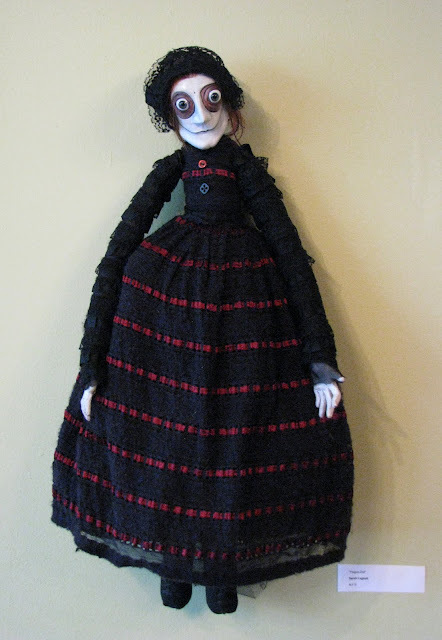 Aggie Abacrombie (who has a little armless zombie), by artist Gail Lackey, was one of my personal favourites, both for the delightful dark humour, and the gorgeous detail in the face and costume. Sheri LeBow, who has a personality as big as her hair and was delightful to talk to, holds one of her "Day of the Dead" themed dolls titled "Sweet Victoria on the day of the Dead"